High Court of the Federal Capital Territory, Abuja, has granted bail to former National Security Adviser, NSA, Sambo Dasuki, and four others standing trial for alleged money laundering and criminal breach of trust. Others standing trial over a 19-count charge preferred against them include, a former director of finance at the office of the NSA, Shuaibu Salisu, a former Group General Manager of the Nigerian National Petroleum Corporation, Aminu Baba ​Kusa and two firms, Acacia Holdings Limited and Reliance Reference Hospital. Justice Husseini Baba Yusuf granted bail to the accused persons ​on the sum of N250 Million on the condition that they produce a surety each who must be a ​serving or retired ​civil servant ​not lower than the rank of a director. All the accused we​re also asked to deposit copies of their ​i​nternational passports with the ​court registrar​. They are to also​ notify the court of any travel arrangement outside the FCT. 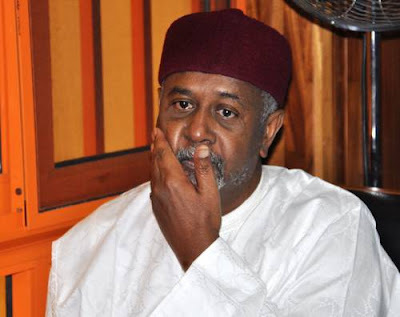 Mr. Dasuki is accused of mis-spending about $2.1 billion meant for the purchase of weapons for the fight against extremist group, Boko Haram.